Norfolk Horn sheep originated in Norfolk, Suffolk, and Cambridge, England. They are one of the ancient Heath breeds now being revived in small numbers. 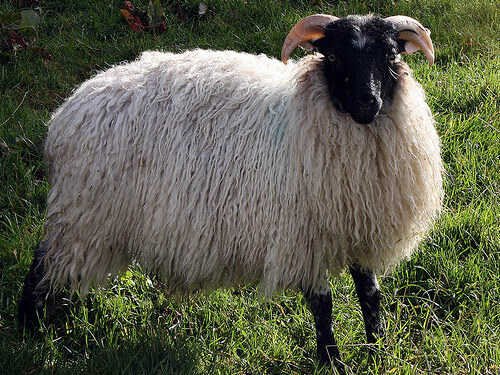 Norfolk Horn sheep were used along with Southdown in the development of Suffolk sheep. They area a medium-sized breed with a long body and legs. Their face and legs are black or dark brown and free of wool. Their fleece is white with new born lambs being mottled. Both sexes are horned and the horn pattern is an open spiral.